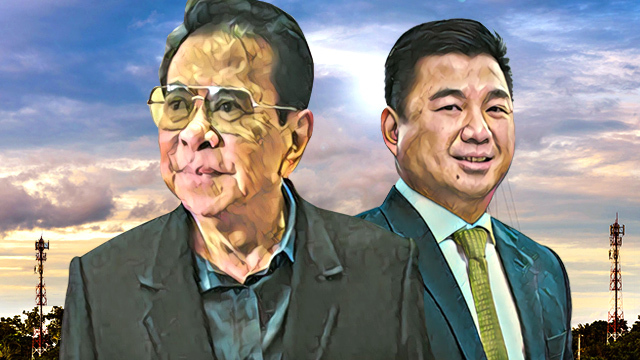 At least five companies, including firms owned by former Ilocos Sur governor Luis “Chavit” C. Singson and fast-rising Davao-based businessman Dennis Uy, have signalled their official participation in the selection of a new major telecommunication player in the country. The companies paid Php1 million to buy bid documents for the month-long tender from the National Telecommunications Commission (NTC) office in Quezon City on Monday, October 8. In an interview with DZMM Teleradyo on October 9, Department of Information and Communications Technology (DICT) Acting Secretary Eliseo Rio said Singson partnered with Davao-based consortium Tier One to join the bidding process. Related Story: How Rich is Chavit Singson? Dennis Uy’s Udenna Corp., local telco company NOW Corp. and Norwegian telco firm Telenor Group were also among those who purchased bid documents on Monday, the first day the documents were made available to the public. Another unidentified local firm also purchased bid documents from the NTC on the same day. Related story: How Rich is Davao-Based Entrepreneur Dennis Uy? While the documents may be downloaded from the NTC’s website for free, any applicant who wishes to officially participate in the selection process must pay a fee of Php1 million to the NTC. Local telco firm Philippine Telegraph and Telephone Co. (PT&T) just downloaded the bid documents from the NTC’s website, according to a report by the ABS-CBN News Channel. “The Php1-million fee is non-refundable, so if they pay that it shows they are serious in their bid to become the third telco player,” Rio said in the interview in Filipino. Rio said the DICT is still expecting at least two more participants to purchase bid documents from the NTC within the week. In the past eight months, several companies have been brought up as potential participants, including foreign firms such as China Telecom and South Korea-based LG Corp.
All prospective third telco players would only have until November 7, before 10 in the morning, to submit their bids to the NTC. Rio said the winner may be named on the day itself as the committee in charge of the selection process will employ the Highest Committed Level of Service (HCLoS) approach, which follows a point-based system. However, he clarified the government would still have to carefully assess the proposal of the winning firm to verify the winning bidder may follow through its plans as said in its documents. So by December 2018, the new telecommunications player may be awarded with the contract and their corresponding frequencies to operate in the country. “If they [the winning bidder] fast-track their operations, they may start acquiring subscribers by the first quarter of 2019,” Rio said in Filipino. In his televised interview with Presidential Legal Counsel Salvador Panelo on September 11, President Rodrigo Duterte pressed the DICT to hasten the selection process for the new major telco player. He said that if no telco player will be named by November, he would take over the selection process. Among the criteria imposed on the prospective third telco player include the commitment to achieve average broadband speeds of at least five megabits per second (Mbps) in the next five years while covering at 50 percent of the national population by the fifth year of its operations. It must also allocate at least Php40 billion in capital and operational expenditures for its first year of operations. Elyssa Christine Lopez is a staff writer of Entrepreneur.com.ph.